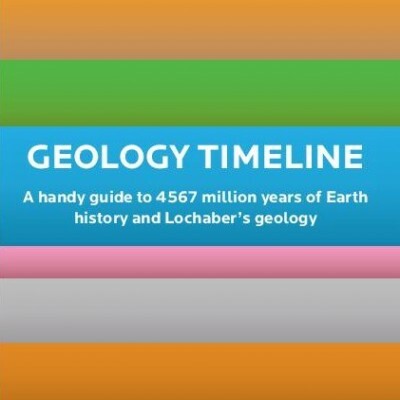 A handy guide to 4567 million years of Earth history and Lochaber’s geology. In this pamphlet, Lochaber’s geology is placed in context alongside Earth’s history and major ancient global events. It is based in a wall-height Timeline exhibit housed in the Lochaber Geopark Visitor Centre in Fort William. Publisher: Lochaber Geopark (September 2017) with support from the Drifting Apart project and Highlands and Islands Enterprise.